Organize a messy workshop with useful racks, carts and cases that you build yourself. 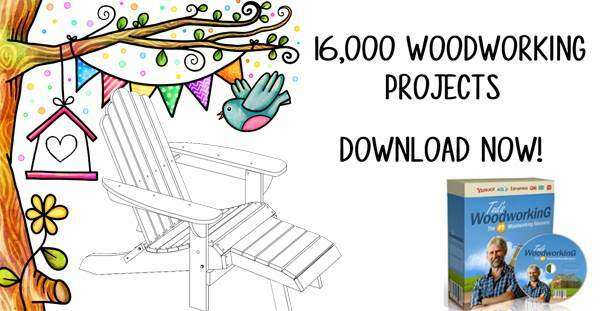 Don't spend money on overpriced equipment from a home improvement store. 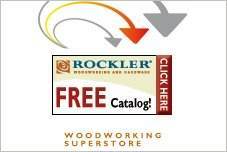 Use free workshop storage plans, a few simple tools and common building materials to will fill your shop with efficient and economical storage solutions. 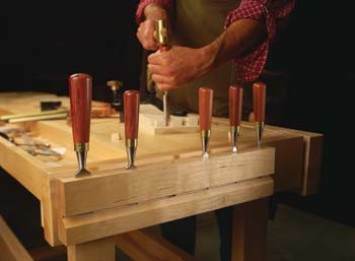 Build custom racks for chisels and hand saws. 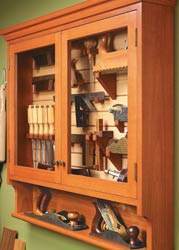 Add a power tool shelf to organize electric and air tools to keep them ready for action. Using wall-mounted storage units frees up floor space and under cabinet areas. Keep your tools right where you need them. This rack can be hung anywhere in the shop. 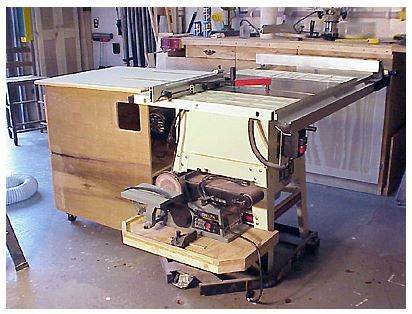 Build this awesome shop cart with table saw extension and handy storage to help make your work shop complete. 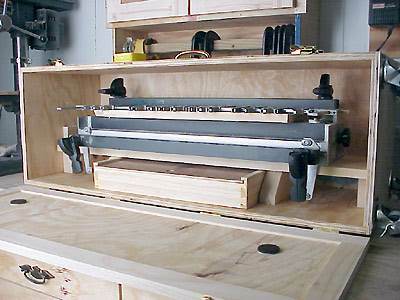 Here is a plan for building a wooden case to store your D4 Dovetail Jig in. 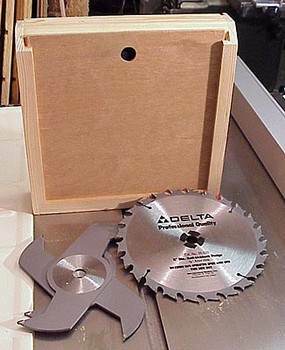 Keep your dado blade set protected and well kept with this wall mounted dado set case. 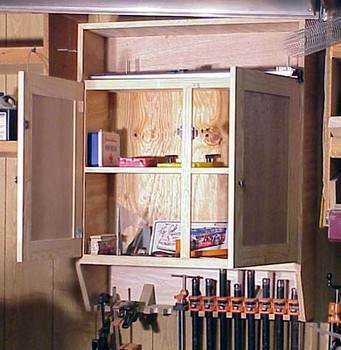 Organize your workshop by building this inexpensive shop cabinet using this plan. 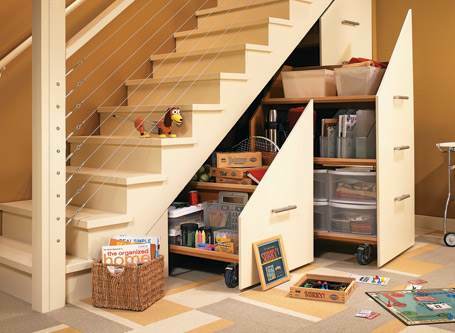 This is a design for storage cabinets on rollers that can slide out and under the stairs. These cabinets are great for organization and easy to get to storage. 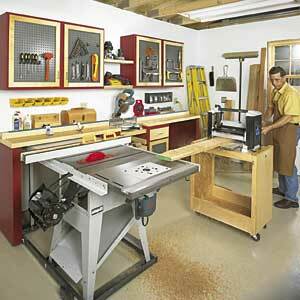 Build this awesome home shop with five workstations. This home shop takes up little space yet can handle big jobs. Here are cutting diagrams and materials list for a handsome tool cabinet with glass inserts in the doors.